Compact Full-Range Pendant Speaker with RBI. 5-1/4'' (130 mm) LF & silk dome HF, RBI Radiation Boundary Integrator technology with 120 degree conical coverage, true coax, 75W at 8 ohms, plus 10W 70V/100V multi-tap transformer, redundant suspension cable system included (priced as each sold in pairs). Excellent sound quality coupled with stylish design and easy installation. A large-diameter, high-frequency waveguide with low-frequency projection provides a seamless integration of coverage. 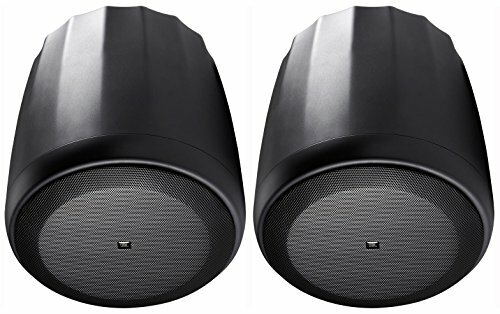 JBL's exclusive Conical Radiation Boundary Integrator (RBI) technology provides consistent and wide 120° coverage of the listening area. Includes hanging hardware with 15' (4.5 m) galvanized steel cable and easy to adjust clamp.